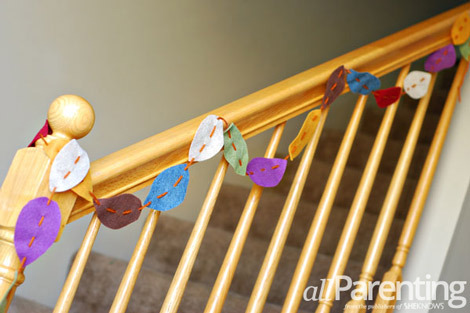 Bring the beautiful colors of fall indoors with this easy and fun fall leaf garland. 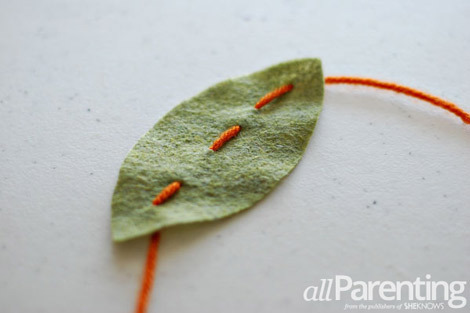 Gather the kids to help you cut out leaf shaped pieces of felt, then work together to string them along some pretty yarn. You’ll have the perfect fall garland to decorate your mantel or swag over a window. 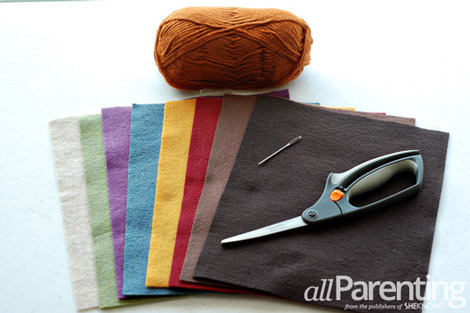 Something about the rich colors and hearty texture of felt just says fall. The rustic simplicity of these felt leaves strung along some chunky yarn makes this garland the perfect fall decoration. You'll definitely want to add this tutorial, inspired by A Beautiful Mess, to your fall craft to-do list! 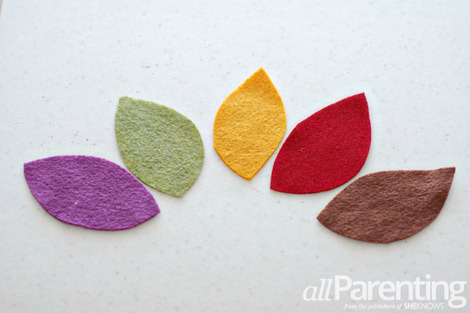 Cut out 4-inch leaf shapes in assorted colors from your felt. 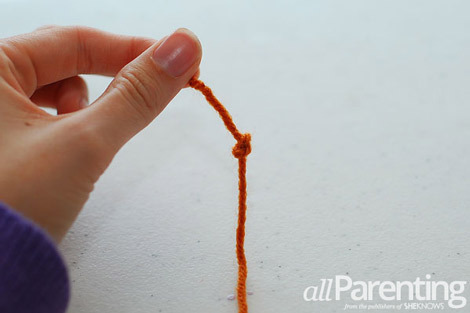 Cut a piece of yarn the length you would like your garland to be. Then tie a knot in one end. 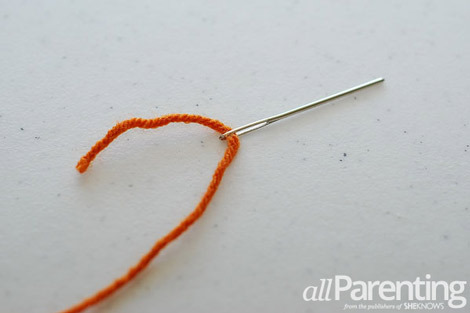 Thread the other end of the yarn through your needle. 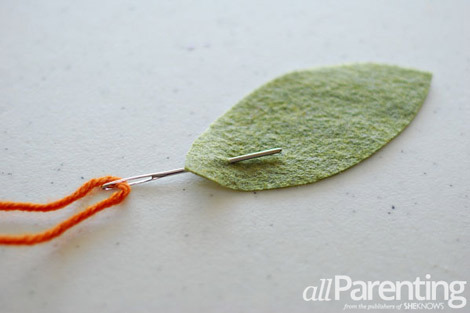 Starting at one end, feed your needle through the felt leaf. 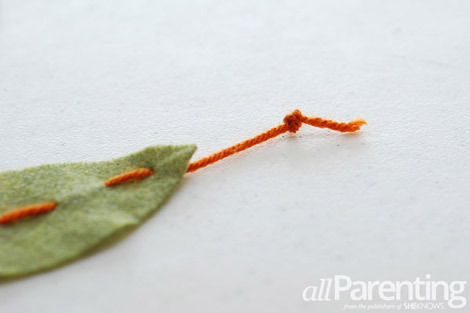 Pull the yarn all the way through, and sew a few stitches across the leaf. Keep adding leaves, alternating between colors until you have reached the end of your yarn. Once all of the leaves are on the yarn, tie another knot at the end of the yarn. 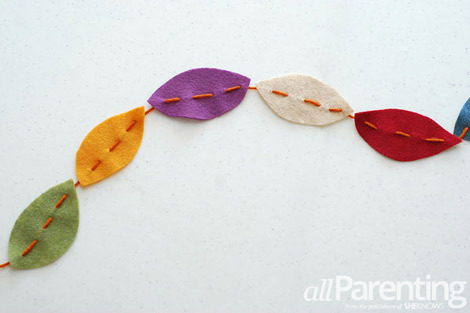 Find a pretty place to hang your lovely felt fall leaf garland!